Say hello to the Ram 1500 Bigfoot Edition, a pickup so absurd and with such a hilarious name that you may not think it’s actually real. But it is. 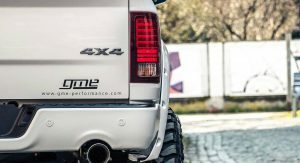 This wild creation comes from German Motors & Engineering, a little-known tuning company, and takes the already massive Ram 1500 and turns it into a monster that could run over hatchbacks like they’re small pebbles. Bigfoot is based around the previous-generation Ram 1500 and benefits from a huge 9.5-inch (24 cm) suspension lift at all four corners. 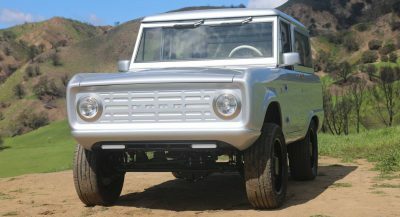 GME has been able to lift the pickup thanks to height-adjustable dampers from Fox, customized subframes, various new suspension components, and upgraded steering knuckles. 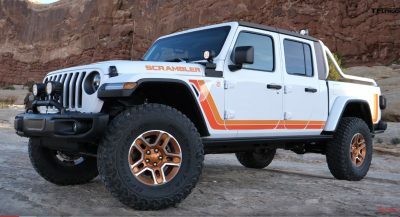 On the off chance that customers wanted something even more obscene, GME has outfitted Bigfoot with flared fenders as well as 37-inch off-road tires and 20-inch wheels. GME then turned its attention towards the pickup’s powertrain. 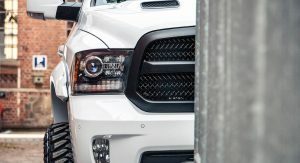 With the approval of the German Technical Control Board, the tuner outfitted the truck’s 5.7-liter V8 engine with an Edelbrock supercharger kit. This lifts power from the standard 395 and 410 lb-ft (556 Nm) up to a supercar-rivaling 550 hp and 530 lb-ft (718 Nm) of torque. 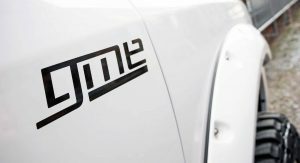 GME says that it can extract up to 900 hp from the powertrain if customers are willing to shell out for new engine internals. 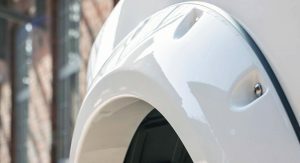 Completing the performance modifications is a bespoke exhaust system completed with remote-controlled valves and two 2.99-inch (76 mm) tailpipes. 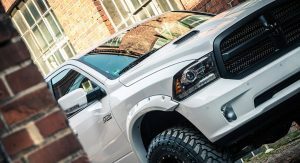 In the pictures provided, the Ram 1500 Bigfoot Edition looks truly insane. We can’t begin to imagine what it would be like to see one cruising down a narrow European street. It’s funny, there’s so many trucks like this around my neck of the woods (Alberta, Canada) this looks like nothing out of this ordinary. You Need something beefy up there. Tough weather. Looks pretty clean and sedate compared to some of the crazier rigs you see on YouTube. 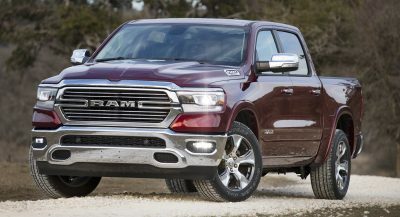 its not a Dodge Ram, just Ram, its been almost 10 years since they got rid of the Dodge word in Ram trucks, fix your headline. A truck like that in Germany might be a head turner, but here in Florida it’s just another lifted truck. Looks clean though. Nobody in the discussion thinks that this truck is too much. 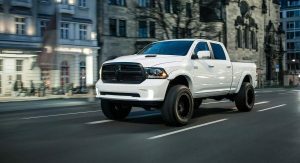 This article is weird and it looks like it was written by some hater of american trucks. I’m european and pickups are far off my scope in cars, but even I quite like how this one looks. Every other truck here in South Florida looks like this. Invest in Electric cars and trucks. A proven concept with the Volt and Tesla, Prius and hybrids. They are coming like it or not to replace internal combustisn. Why do I think this? 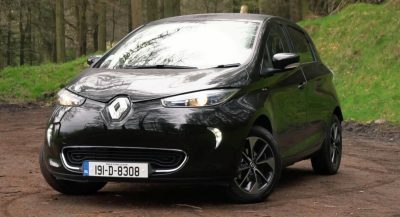 Because everything from a car to a semi has been done well with electric. Given a few more years to debug and you will not have to wait 20 to 30 minutes to charge. You pay a flat fee for a battery swap that takes three minutes. Less moving parts in the motor to go bad. Who wins? The electric tric companies, GE, motor manufacturers, motor repair places and car companies outsource the motor. Good bye auto mechanics unless you do suspension which is rare. More proof, why else yo make 900hp pickups, 1000hp cars? One last ohhhhhaaa before the are a relic. I will miss the BWAAAAAAA! of a nice V8. They will have to install a speaker just to make you feel good on your off road pickup WHEN YOU ROMP IT. Who wants to hear a singer sewing machine! Looks every bit a Raptor challenger, but is it truly as capable? Someone is clearly a Yankeephile.